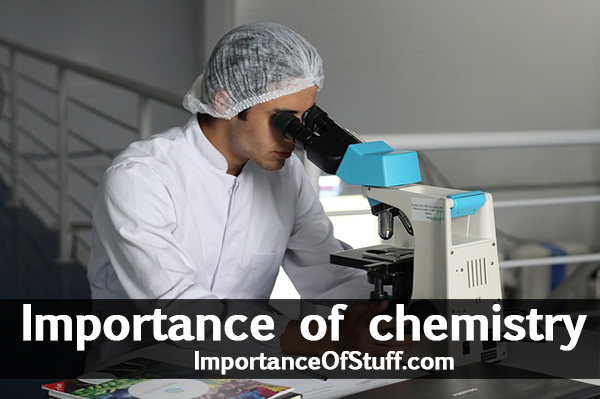 Chemicals and their study, famously known as chemistry is an integral part of life. We mostly fail to recognize them but everything, from our existence to happenings in and around us, are constituted of chemicals and the reactions between them. It would be very interesting to understand a few things, taking into account that we never have the time or patience to look upon it with this view. There is nothing without chemistry. One experiences handling chemicals throughout the day by seeing, hearing, smelling, tasting and also, touching but don’t give a heed to the science involved in it. Our body is made up of chemical compounds, which are a combination of elements. Our psychological being is the end result of reactions between neurotransmitters. So the emotions we perceive are all chemical reactions of the body to the stimuli received. It may be happy, sad, surprise, love, anger or affection. The salt, commonly taken in food, is Sodium Chloride, NaCl, a chemical compound. Cutting an onion is one of the primary steps involved in cooking in most part of the world. It is seen to bring tears in our eyes and obviously we never give a second thought to the reason behind it. Nevertheless, in simple terms, on slicing an onion, the cells are cut releasing its contents. One of the compound released forms sulphenic acid. Few enzymes that also get released combine with sulphenic acid to form a gas which moves upward to react with the water of eyes to form sulphuric acid. Sulphuric acid is the actual compound which makes the eye shed more tears. Soaps are another important item of utility in our lives. The soaps and detergents act as emulsifying agents to work upon the dirt and result in its removal which means it makes the dirt soluble enough in water to be cleansed off. Medicines are all combinations of chemical compounds developed through intensive research to heal the body through their attachment with either the targeted cells of the body or the foreign element causing the disease. Every product in the market including packaged drinking water comes with an expiry date, in lieu of the fact that after a specified period of time the item undergoes few chemical reactions within itself which renders it inappropriate for use. Many industries like health, beauty, forensic science, transport, aviation, food, petro-chemical, refineries, etc couldn’t have existed without the knowledge and research in chemistry. Diagnostic tests, genetic studies, medicinal pills, vaccines, antibiotics, birth-control pills, antiseptics, chemotherapy, etc are all unequivocal application of chemistry and imagining health industry to exist without these is impossible. Soaps, makeup items, anti wrinkle crèmes, sunscreens, are all unavoidable products used in our daily routine. These are all chemical compounds devised in labs through research, packaged and sold in market to reach the consumers. Analyzing and identifying samples from the crime scene forms the basis of forensic science and it is a role played by a forensic chemist with the help of series of methods and instruments involved. Chemical sensors are key in the transport industry. Sensors are used to determine fuel ratio, manage the optimum ratio, and measure the oil quality for pollution control. Chemical sensors are also of prime importance in the protection of closed spaces like airplanes, trains, ships, subways and other areas of transit which involves high density of people. Aircrafts are made up of chemical compounds light in weight and high in strength, plastic polymers are used to coat the aircraft and its components, fuel for aviation has less contamination, more power and less weight, use of catalytic converter to convert the ozone gas entering into the airplane into lass harmful gases, all are by-products of research in aviation through knowledge in chemistry. Foods contain many organic compounds like carbohydrates, proteins and lipids. Along with this, vitamins, minerals and water are all chemical compounds which are important constituents of food. Fermentation is a chemical reaction which produces beer, wine, bread, cheese and certain varieties of food. Also, process of cooking, preservation and rotten are all series of chemical reactions understanding of which eases the labor involved and retains the nutrient value of the food. For example, use of pressure cooker in cooking reduces the time involved considerably and also, retains the health quotient. Refrigeration is another aspect of chemistry deeply engrossed in food industry. Hence, Chemistry is inevitable from anything one does. It helps understand the composition, structure, and changes of matter. Knowing all the above examples, it may be inferred promptly that knowledge of chemistry and understanding its application may help in making many decisions of our daily lives. For example, one can prevent overdose of any chemical compound through diet when one is already taking drugs of that specificity.